The Waterways Tiny Might Pump is one of the hardest working small external pond pumps on the market today! 1 speed 115v 0.8 Amp threaded connections. The Tiny Might Pump is made in the U.S.A. of high quality materials. It runs on a 1/16 horse motor that delivers a whopping 1,180 gph at 4 feet! 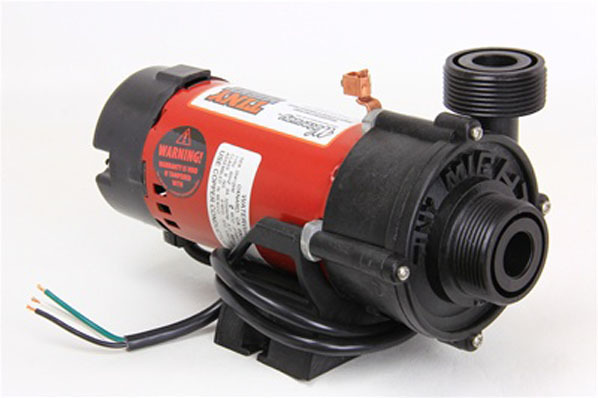 This pump is very efficient, using only 0.8 amps, and is extremely quiet. The Tiny Might Pump is designed for 24 hrs. circulation. It is recommended that this pump be protected from weather conditions exposing it to water. It comes with 1″ inlet/outlet, and a 3′ power cord. And with this being an external pump, it helps protect both you and your fish from annoying and potentially dangerous oil or electrical leaks. 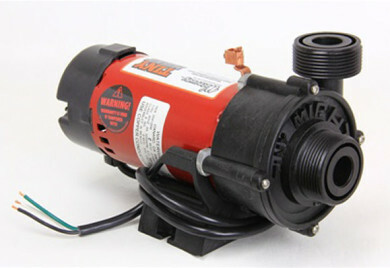 A compact, light duty circ pump for small ponds or water gardens. 3312610-14 331261014 3312610-1415, short cord provided, no plug. Recommended for ponds 900 gallons or smaller. Very high efficiency pump. Pumps 1200 gallons of water per hour.